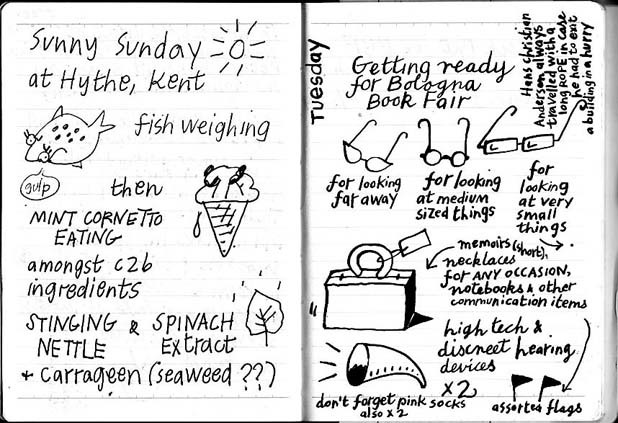 This entry was posted in Drawings, Sketchbooks, Travels, Work in progress and tagged Bologna Book Fair, drawings, Hythe, Kreutzer Quartet, Little Tich, notebooks, Sally Kindberg, Stravinsky. Bookmark the permalink. 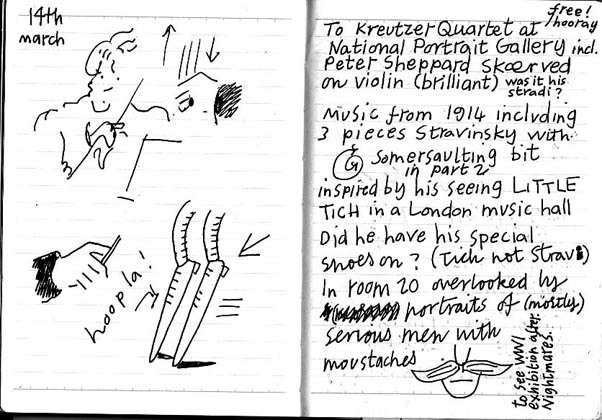 I was so pleased to run across your notebook pages about the National Portrait Gallery concert. Not just because you really had brilliantly articulated the Stravinsky ‘Little Tich’ moment (true quartet-cubism), but that you so carefully and touchingly drew attention to the moving exhibit. I have set up a link to your page on my website, and been circulating it to my friends in the Quartet, NPG and the Royal Academy of Music. Really much appreciated. Thanks so much.